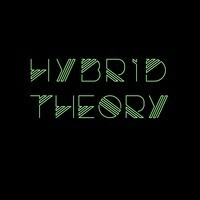 Four40 Records honcho Hybrid Theory delivers bass house perfection in the form of Screened – a heavy dungeon style beat built on whispered vocal snippets, metallic synth stabs, sub heavy kicks and grimey oscillations. One for the night crawlers, this track consumes listeners into a musical hypnosis and shape shifting frenzy! Early dj support from Marcus Nasty, Hannah Wants, AC Slater, DJ Q and many more.